Whether it's a low cut top or an armhole that's too large, a bandeau or tube top is what's needed. 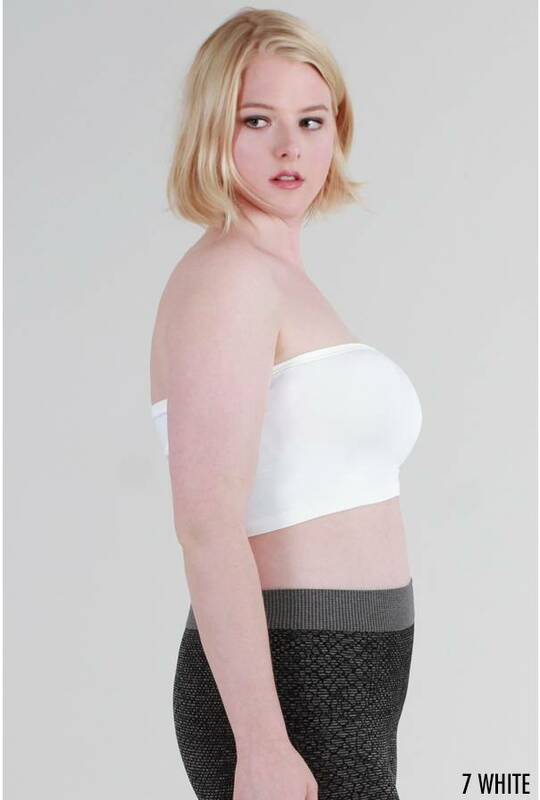 This stretchy garment goes over your bra and under the top or dress. It's simply a modesty garment. 92% Nylon / 8% Spandex. Made in the USA. Our bandeaus were designed for girls with girls. They are 11" long and made to cover the basics!